"Left for Dead. Burning for Revenge..."
I get chills just thinking about it. That and the fact this was brought to us by the same guy who made a squeaky voiced Ralph Macchio roar. Drunk and passed out. 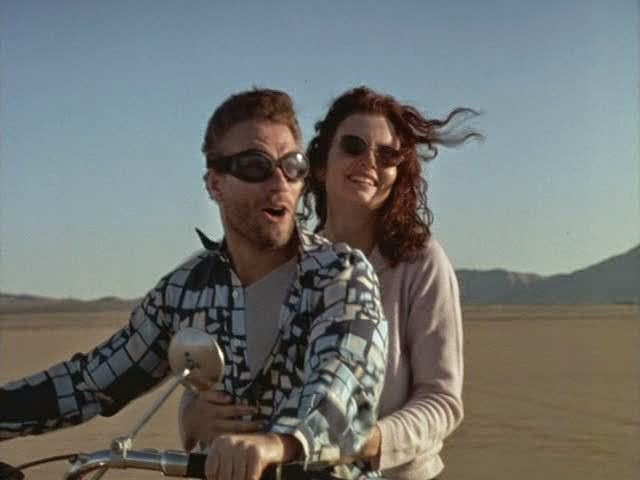 You can't see it, but his motorcycle is crumpled up in a heap somewhere off in the distance. 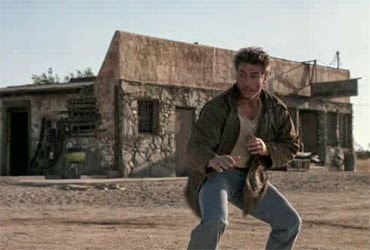 Maybe it was written in the script but something tells me this is just JCVD being JCVD. 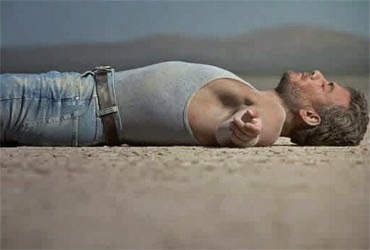 Its now occured to me that the movie's tagline "Left for dead..." isn't exactly true. More like "Wasted Loser Life, Might Get Up Later." 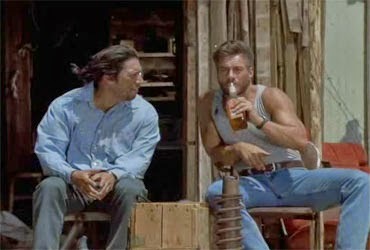 The other thing we establish very quickly is that JCVD's best friend is a guy named Johnny Sixtoes. No one questions this last name, they just plow into the story as if we all didn't just hear one of the silliest names in movie history. 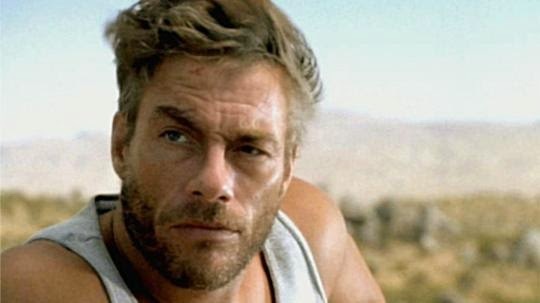 As the movie will explain to you (through the ramblings of a drunk JCVD) he's here in the middle of nowhere to drink himself to death over his actions while serving in the Army. 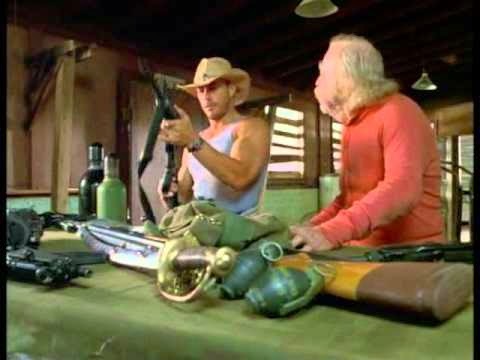 Honoring his Army training, he recklessly fires shots in the air, which makes Johnny Sixtoes disappear (the name stays though) and a group of guys in a truck appears upset about JCVD's inability to understand gun safety. What follows is flareups of tempers and conflict that could have easily been avoided had these guys just driven away from the gunfire. 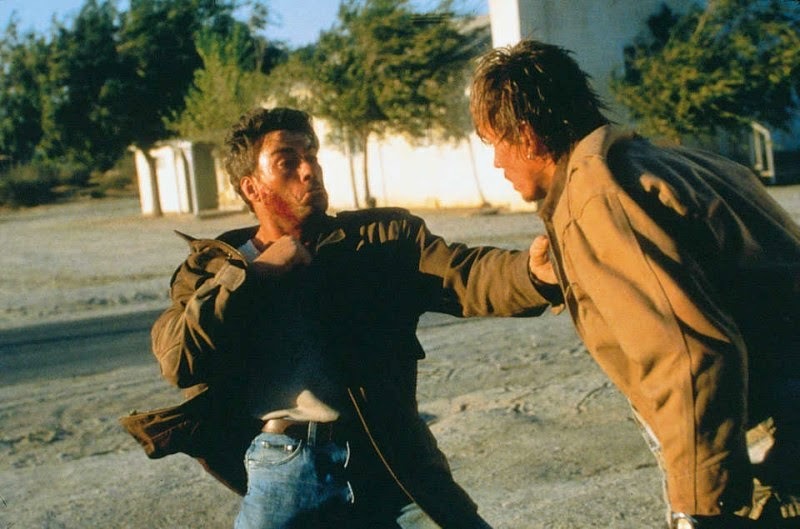 But that would have been a blissfully short movie and we would have watched another 75 minutes of JCVD slobbering unconsciously. 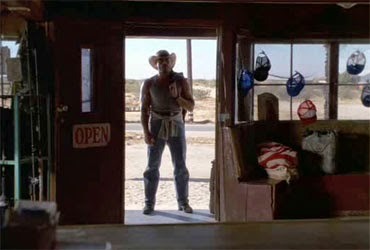 If there's one thing this movie has that other Van Damme movies don't is that Jean-Claude is rocking a cowboy hat for most of it. He clearly really likes himself in said hat, because once its on, he seems reluctant to be without it. 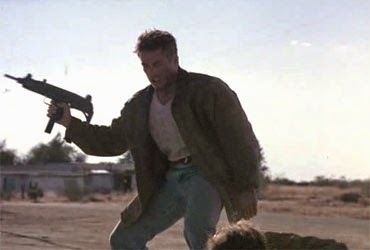 Guns, grenades and cowboy hats....Van Damme for President 2016. 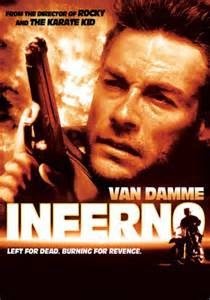 Her acting is genuine - it says, "I'm playing a character that doesn't know she's supposed to kiss Jean Claude Van Damme later." Johnny Sixtoes comes back. He's also Danny Trejo, pretending we don't remember his name is actually Johnny Sixtoes. He hangs out, soothes Jean Claude's ego and then disappears into the night. God bless you Johnny Sixtoes. I'm hoping for the sequel where we meet his wife, Susie Fourthumbs. 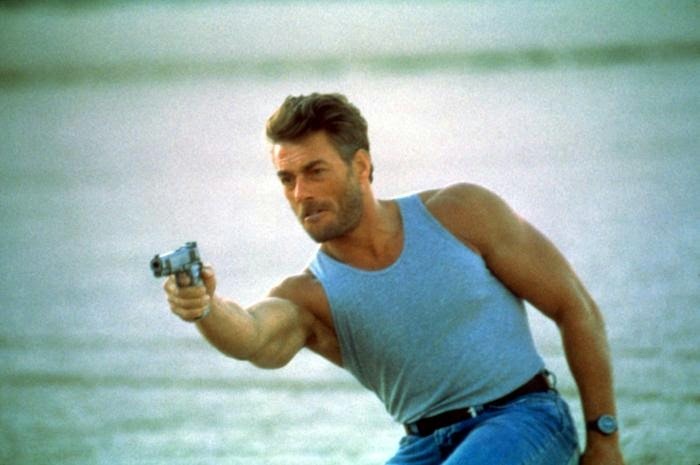 You would think this movie would be about JCVD overcoming his suicidal guilt Army thoughts, but no, its just about him getting back at the guys who got mad at him for almost shooting them. 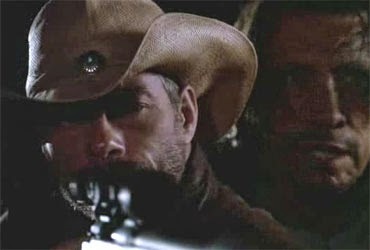 So his plan of attack is, kill the guys and have Hot Waitress and Mr. Miyagi help dispose of the bodies, making this one of the darkest movies I've watched for this blog (please keep in mind I sat through two Insane Clown Posse productions). 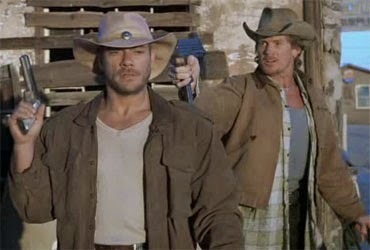 I realize JCVD wants us to know that he's a formidable force for good, but when you garble out dialog and insist on wearing cowboy hats that are too big for your head, it just defeats the purpose. Man loves his hat. Not much else you can say about it. 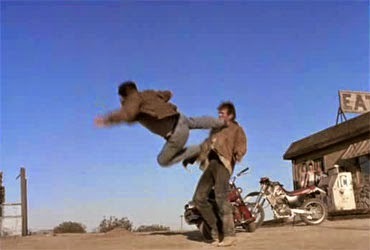 Because its extremely hard to do a roundhouse kick in one. If Chuck Norris has mastered it, then he's not showing it nor talking about it. The lesson we learn from this is that if you're depressed, do whatever makes you feel better. If someone has a problem with it, feel free to introduce them to Sonny & Cher (aka your fists). "You guys, I'm really working my way through the grumpies. Thanks!" Better than therapy, albeit way more messy. No word on how Mr. Miyagi and Johnny Sixtoes coping skills have held up. Thoughts? Feel free to discuss in the comments or on our Facebook page or Twitter.